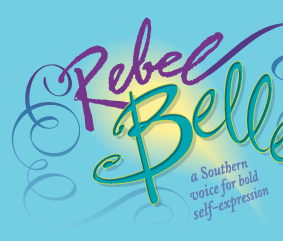 The Rebel Belle Yell! 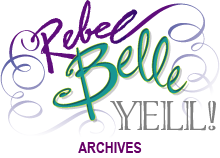 features columns like Under my Skirt: Stories from my Personal Journey and Belle with Balls, an ode to women who are living full-out and on their terms. Feel free to browse archived issues listed here. May 2009: Juicin’ a Life of JOY! April 2009: Are You Fully In Sync with Your Soul? January 2008: I am a Phenomenal Woman! September 2007: Share a Mentor – Pay a L’il Gratitude Forward! June 2007: Passion, Purpose and Play! April 2007: My Story... My Soul Truth Owning and Radiating YES to the world! November 2006: I Believe I Can Fly! October 2006: There She Is... Ms. America!